Yeah, this issue was awesome... 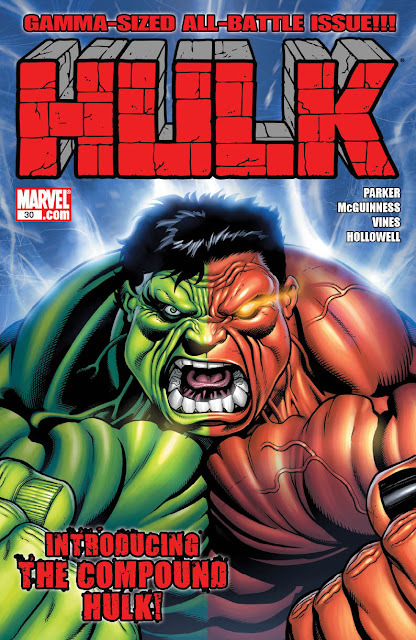 Probably the best comic in the whole Red Hulk run. Funny, smart and parker not only parodied some DC stuff but I think this issue is also inspired by the work of Jeph Loeb.Its a little hommage to him IMO. Great review, as usual. Love the fact that you are making more articles and reviews about Hulk comics.Your opinion are always interesting and thought provocating to a fellow Hulk reader like me. Thanks for visiting Shai! Unlike a lot of fans out there, I did find parts of the Loeb tenure enjoyable, if not overly praiseworthy, and Parker & Hardman (& Breitweiser) are working hard and really developing the series further. I'm anxious to see where they're headed next, considering we've got four new villains debuting over the upcoming months. I'm hoping to not just have some Hulk talk here, so if there are other characters, no matter how minor, whom you think deserve a spotlight, speak up! Already in the works are features on Ben Reilly, the Spectre, and Andrew Bennett, and there are three segments left in my Firestorm spotlight. 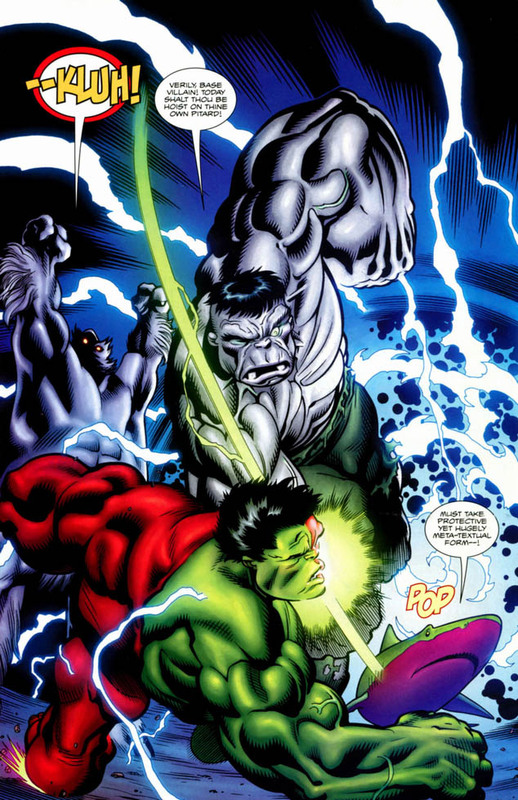 Tomorrow I get Incredible Hulk #623, and I want to review it immediately. Stay tuned! a fun little diversion this one, not to be taken seriously but didn't really get into it. i don't feel the same love for mcguinness others seem to. 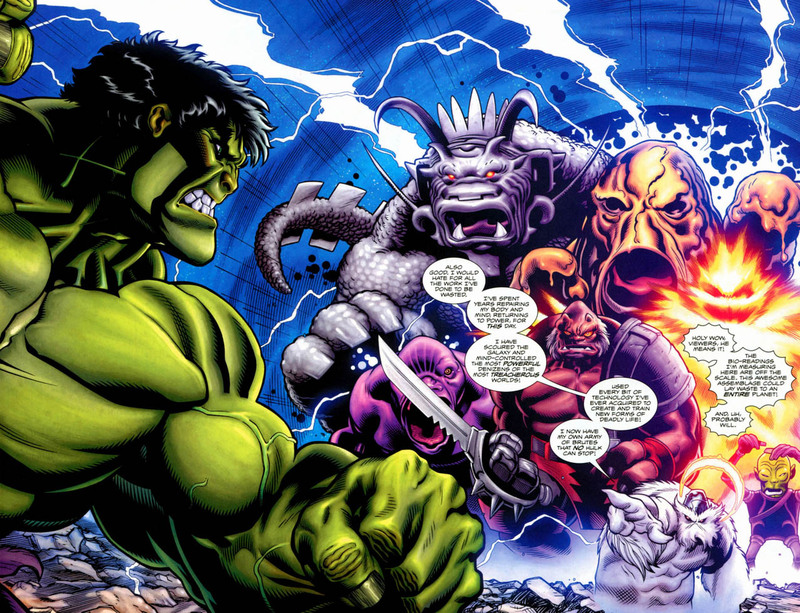 his hulk and other figures look too rubbery and the hulks are wayyy oversized, a la dale forearms-bigger-than-legs keown's. ugh. love that hardman's stuff though, the scratchy lines. doesn't look like it should work on hulk but it certainly does. thanks, p.h. The smaller two in the picture above are the Martian & the Venusian from Strange Tales #78.